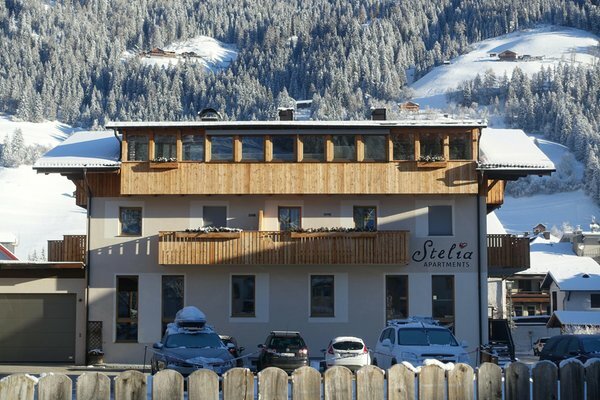 The apartments Stelia, named after the two owner's children Stefan and Julia, are located near the centre of San Candido, in a very quiet and sunny position and away from the traffic, with only 2 minutes' walk to the ski lifts "Haunold". All major shops and services are in the pedestrian zone around the corner. 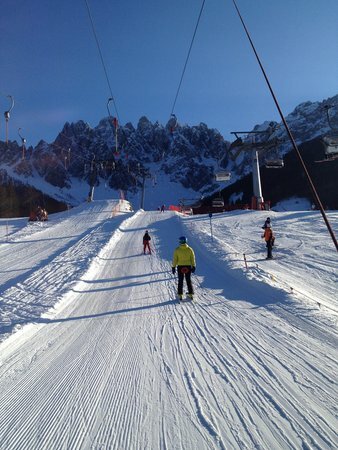 The magnificent Haunoldmassiv with the Fun-Bob-slope in the summer and the illuminated ski slopes in winter (on Tuesdays and Fridays) is really close. 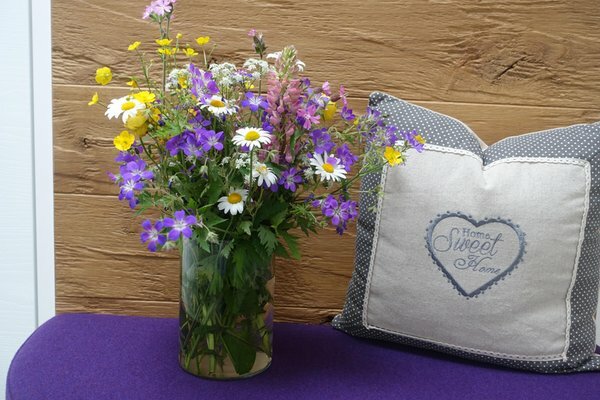 Honesty, diligence, joy and conviction as well as the awareness of the great responsibility for the heritage-runners (ex House Lercher) are characteristics which distinguish the host family, who follows the motto "the window is open, the sun takes its place": Welcome! The apartments have been designed as the hosts would have imagined it for their holidays. In the end small things make the difference. 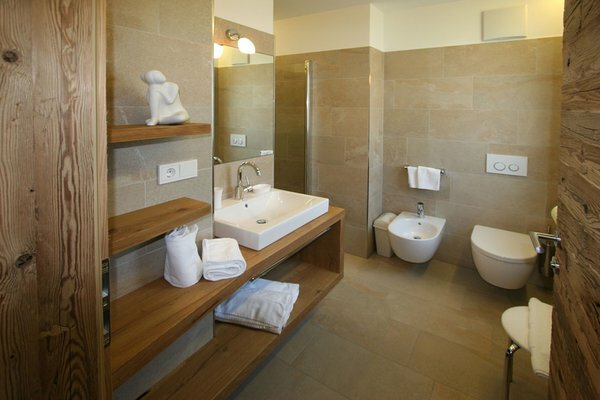 High-quality materials, attention to detail and cleanliness define the unique character of the apartments and provide comfort and well-being. The three apartments of different sizes for 2 to 6 persons - Apartment s'Glöggl, Apartment s'Herzl and Apartment s'Schlössl - are awaiting you. The bright and friendly apartments have a country flair and modern technology, in rustic oak wood or decorated with traditional paneling in spruce/old wood, are oriented towards south-east, south or south-west, including (one or more) balcony or terrace, with 1 to 2 rooms, bathroom, living/dining room with a comfortable sitting area and a double sofa bed and a kitchen. 57m2, living room with equipped kitchenette, 2 double rooms, 2 bathrooms with shower/WC, double sofa-bed, balcony, terrace, SAT-TV, Internet, bed, bath and kitchen linens. 35m2, living room with equipped kitchenette, double room, bathroom with shower/WC, double sofa bed, balcony, SAT-TV, Internet, bed, bath and kitchen linens. 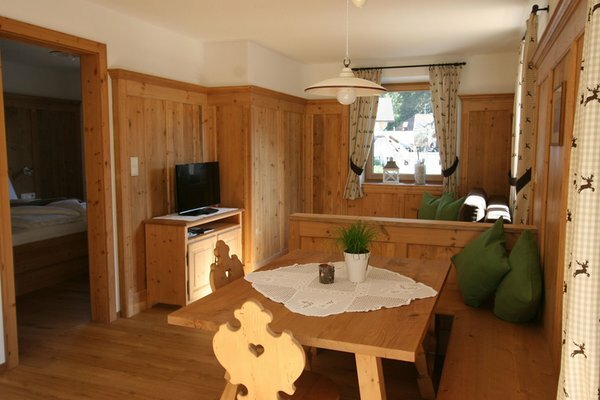 62m2, living room with kitchenette, 2 double rooms, bathroom with shower/WC, bathroom with bathtub/WC, double sofa bed, balcony, terrace, SAT-TV, Internet, bed, bath and kitchen linens. A wonderful modern apartment with breathtaking views to the mountains. Fully equipped for short or long stays. Comfortable beds and chairs. Excellent sound-proof glazing. A bit dark inside though. Small balcony with clothes hanger outside. Bathroom modern and well equipped. The lift is great if you really need it but, in my opinion, a bit superfluous if not. You have to separate and put out your rubbish. 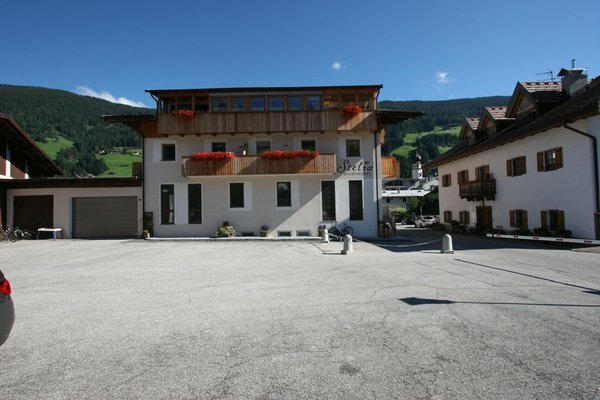 Exceptional house with central position, modern and clean apartment. The hosts are very polite and ready to share useful information with their guests. My wife and myself spent a very nice week in the Apartments Stelia. 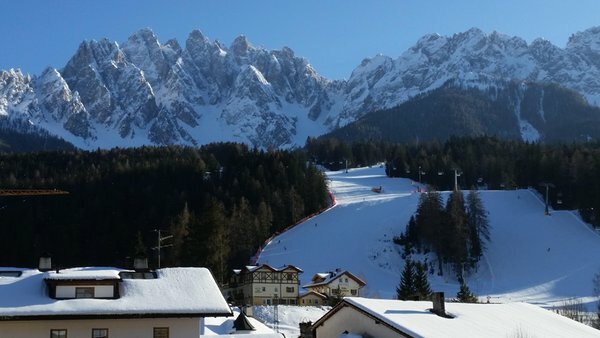 Despite the weather was so and so - probably the worst we have ever experienced in San Candido in March - we did enjoy our holidays, mostly thanks to a very comfortable accommodation and hospitable owners. There is really nothing to complain about. Thanks a lot Mrs Heidi, hope to be able to come back next year! My family recently enjoyed the most wonderful stay at Apartments Stelia. 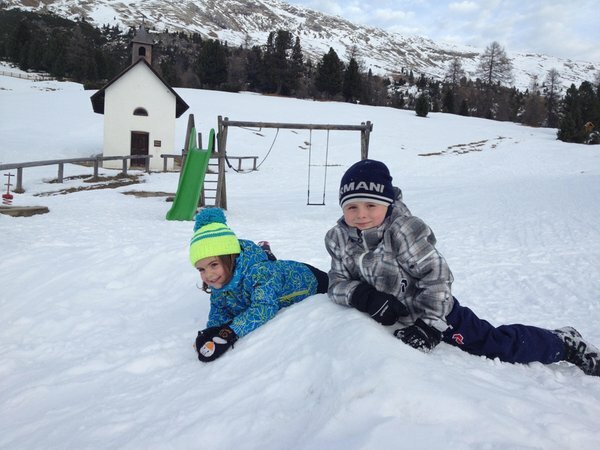 We were 4 adults and one child visiting San Candido for the 6th time. This was by far our best stay and that was due largely to the excellent accommodation we found at Stelia Apartments and our very kind and generous hosts Heidi and Paul. 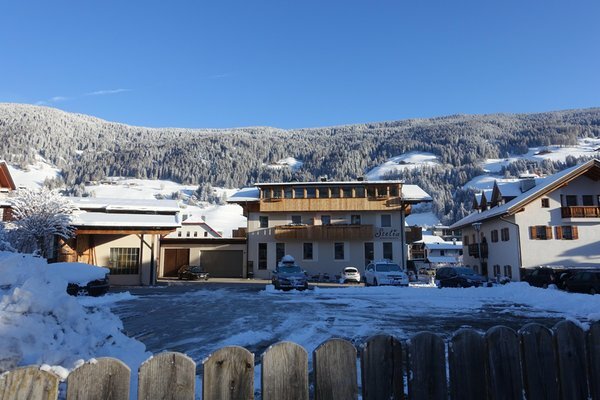 The apartments are located in the perfect position, it is a 2 minute stroll to the town centre for restaurants, coffee and shopping and a casual 5 minute walk to the ski slopes. The standard of the finishes in the apartment is first class. 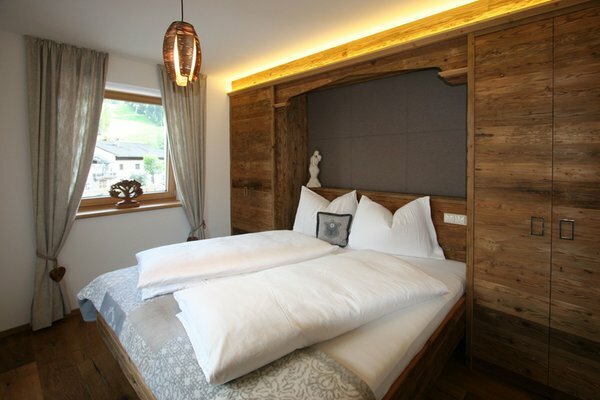 The craftsmanship is excellent and Heidi and Paul have done a wonderful job of creating a modern take on the traditional Tyrolean style. The layout of our apartment was spacious and the decor stylish. The bathrooms were superb and everything we could possibly need was there. We loved the Christmas decorations which made it feel like our home away from home. Heidi and Paul were very helpful and accessible whenever we needed a question answered, but also left us to enjoy our time together. 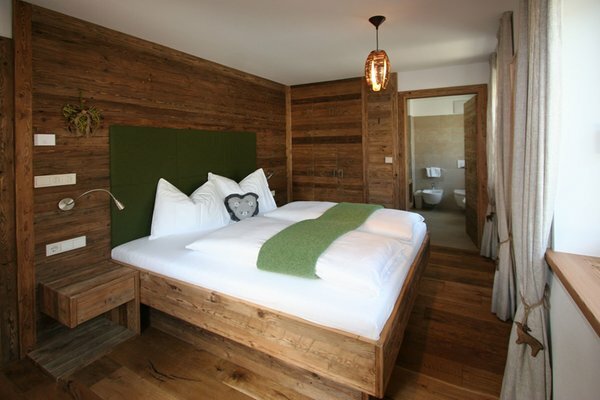 We are still dreaming about the comfortable beds and beautiful views of the Haunold. It was also lovely that the apartment was regularly cleaned and we felt very well cared for. We really cannot recommend Apartment Stelia highly enough. Thank you for a wonderful vacation, Heidi and Paul. 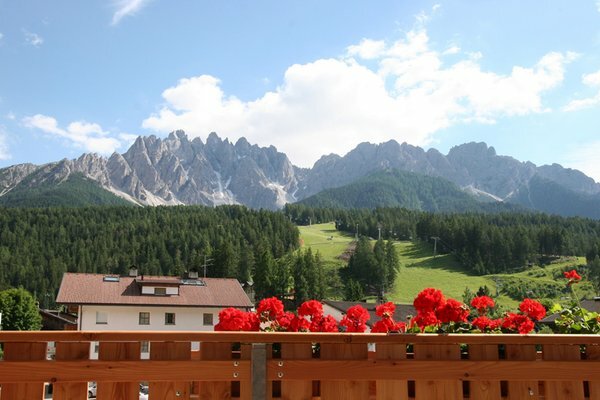 The apartments Stelia are absolutely beautiful and have a very good location in San Candido. 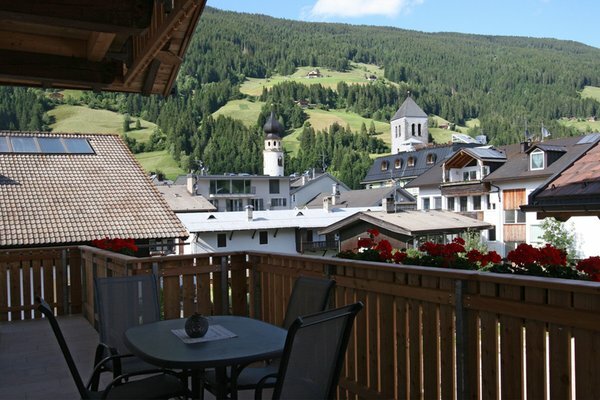 Very close to the shops, swimming pool and the nearest ski lift. The quality of the apartment is very high, in the kitchen you will find all you need, everything is brand new. You will also find a private parking and elevator in the house. My partner and I stayed here for 2 nights in June and it was by far the best place we have stayed. We were greeted by Heidi who showed us our room which was better then what we had expected. It was very clean, there was more then enough space for the two of us and the view was breathtaking, they had top of the range oven and stove the kitchen was fully equipped, the bathroom was spacious and also seemed very new. Heidi and her family are extremely friendly and made us feel as if we were at home. Also service at its best: once we left we had forgotten our travel adapter in the room and hadn't noticed, while we were at the train station Paul had cycled around to find us to return it, which left my partner and myself in disbelief that he had cycled around the town first and then to the station to return something we had forgotten which just goes to show what great people they are. There is absolutely nothing negative about our stay here it was just perfect. I will definitely recommend Apartments Stelia. 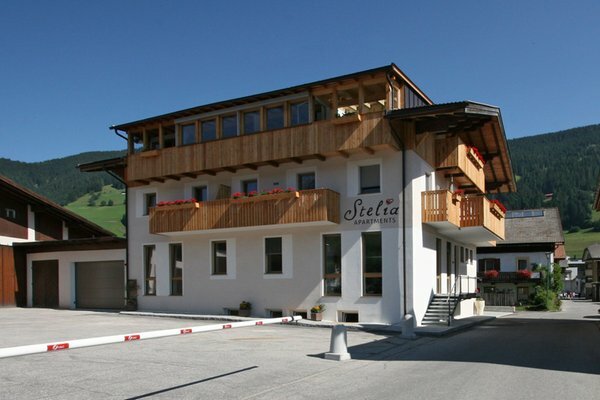 We have just returned from a week's stay at Stelia Apartments and found the accommodation there excellent. 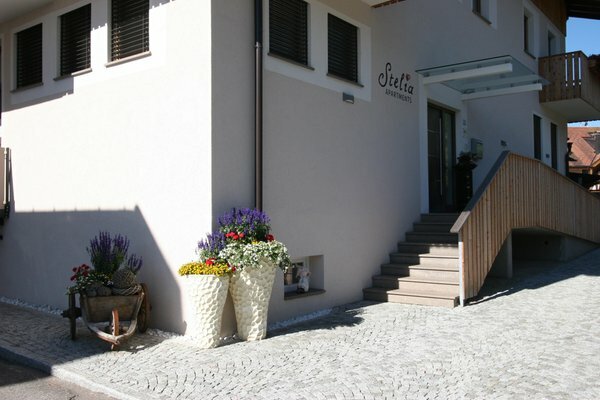 The quality of the rooms, friendliness of the welcome and overall charm of s'Gloggl apartment was first class. 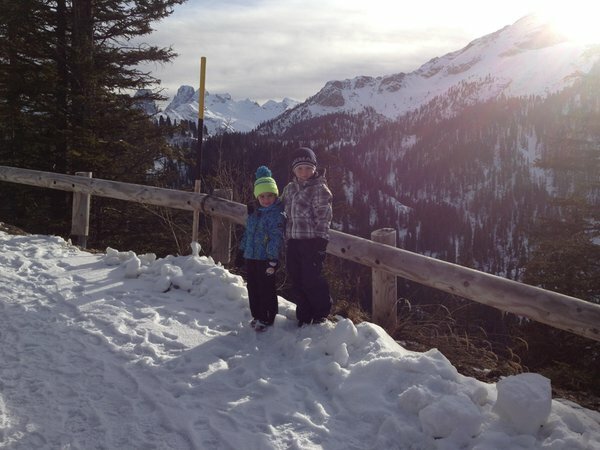 We stayed with our two boys (aged 6 and 8) who also loved it and didn't want to leave! We will certainly be staying again in future and would recommend staying at Stelia Apartments to anyone. This is the second time my husband and I have stayed in this apartment. It is small but cleverly designed and very comfortable. We particularly love the the beautifully fitted out kitchen. 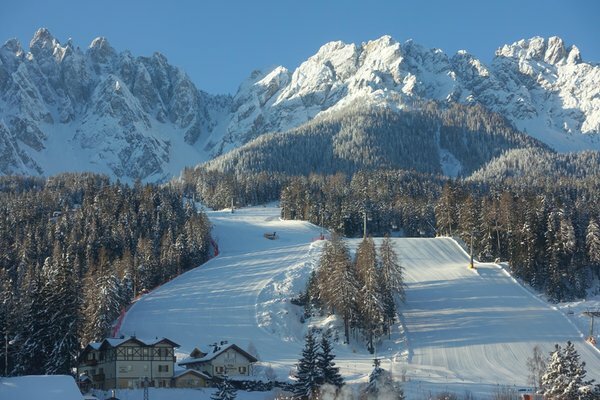 The location is one of the best in San Candido with cafes, restaurants and shops within a couple of hundred metres. It is also only a short walk to a number of bus stops or the railway station. Heidi and Paul are wonderful hosts and always happy to assist their guests with any information or problems. 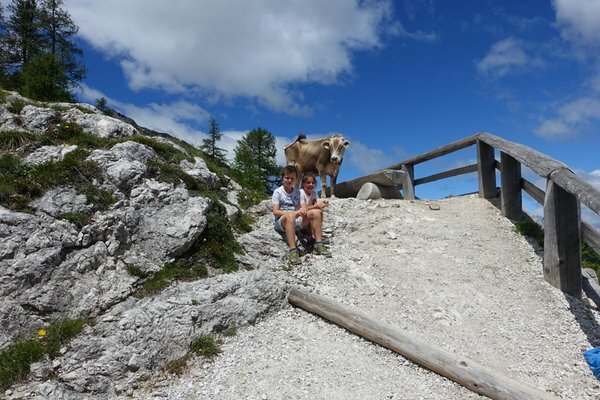 Information about the location: at 1162m amsl, 500m from the bus stop, slopes are easily reachable on foot (500m), cross-country ski trails within walking distance (500m). Are you interested in Apartments Stelia?